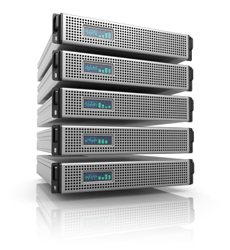 While ACI has a very modern system of rack-mounted machines and virtual servers, sometimes physical security or intellectual property dictates that your project reside on its own separate hardware, whether it is an entire server, disk array, or single hard-drive. For ACI customers, we can colocate your server(s) and provide uninterrupted power, cooling, and monitoring of hardware through the use of temperature sensors and internal/external network services. Windows, Linux, and Apple environments are all supported by our knowledgeable network engineers. We can provide scheduled data backups and physical security for client hardware.